How do you think we could assess the general talent and ability of the citizens of a country or a state? By the number of professionally qualified people the country churns out? Or by counting the Nobel Prize winners? Or perhaps the literacy rate? Or rather the no of Gold medals the country procured in the previous Olympics??? 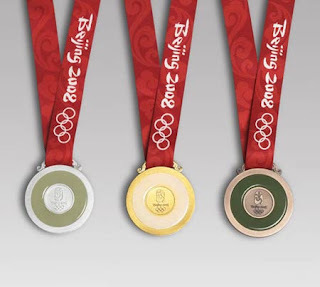 I'd be genuinely be irked if someone has a compelling argument in favour of the last one, the Olympics one. One of my friends joked about the reason behind the pathetic display of our country on World stage (except Cricket) that the gross talent is equally distributed among all 1 billion people, so the per capita talent comes out a disaster. Good for a laugh if we are all in a balloon suspended above Wonderland. Saying that, we do see talents like Haile Gebrselassie sprouting from Ethiopia and the likes, but those are far in between. As for India is concerned there is no comfort of such a trump-card what-so-ever. Money is pumped into cricket and the results are for everyone to see. On the other side even our national sport Hockey is dying a slow painful death..We just witnessed an Olympics sans India, for the first time in history. The treatment meted out to Sports people in our country and state is best described as cruel. Once upon a time Kerala enjoyed the kingpin status for producing raw talents in sports arena of the country. Kerala delivered the likes of PT Usha, Shiny Wilson, Anju George who brought much name and fame for the nation. The erstwhile football team of Kerala Police set the turf on fire with agile and charismatic charmers like Satyan, Pappachan and IM Vijayan. We had back-up talents from teams like Titanium, SBT & co and those were the golden days of Kerala football. Not to mention the consistent performances in Santhosh Trophy when Kerala was a force to reckon with. Well, not anymore...not anymore. The last tragedy story was that of FC Cochin, the first professional football club in the country, which failed to live up to the hype it created. We also have a Viva Kerala now, but no one knows where it's headed as well. Its painful to see how those illustrious footballers have fared off the field. There is no soul in the state who are not aware about how those footballers were treated by our Govt. The tale of former Indian captain V.P. Sathyan is a testimony. 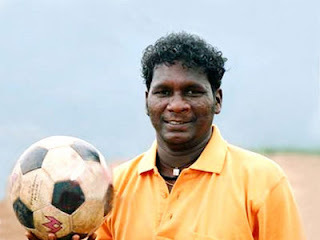 I.M.Vijayan lived in his modest home for years and he flourished only after leaving the state for Mohun Bagan. All Vijayan received from our leaders was promises, promises and more promises, all emptier than Kerala Govt treasury. This is the case with many exciting kids seen during the annual School Games. Even though this is a well conducted event, the raw talents unearthed during the meet slowly fades away into oblivion for want of professional & international standard coaching and training facilities. Not to mention the bleak financial future awaiting them if they chose to be an athlete. The Govt has send out the message loud and clear: Become a professional sportsman at your own risk! What we've been giving our sportsmen were all bricks and boots. The GV Raja Sports School in Trivandrum is an open book for the neglect meted out to the aspiring kids who chose to take up Sports as a livelihood just for the love of it. It hurts to see the torture meted out to them. The shani-dasa of the school started when it had to be relocated to aid in the expansion of the Indian Air Force in Shankhumugham. The School has no proper jumping pit or track, no standard training facilities, hasn't even a decent toilet. The major problem faced by the Govt is that there have been null returns from the Sports arena of the state. There is practically no corporate presence or sponsorship on Kerala sports scene. This means the Govt receives almost nothing from the field to give back. As a result our already beggar state exchequer has nothing to offer other than void promises. Even mowing the grass in the stadia turn out a big burden for the local authorities. Eventually the cradle for future sports-champions becomes arena for everything else other than sports. This is not the situation exclusive to Kerala but pan-India. Except for cricket and a few professional clubs in West Bengal, the business-houses and media couldn't be seen anywhere. Compare this with the UK, where the Govt received over 4 billion pounds from the Sprots field through taxes alone and spent back 885 million pounds (over 7000 crore INR)to develop sports infrastructure. Perhaps the reason why our old Colonizers are a prominent force on every major sports events under the Sun. The existing sports infrastructure in the state will hurt many sports lovers. The only International Stadium in the state, the Kaloor one, hosts a Cricket match once every 2-3 years, and is regularly used for Expos. The Corporation Stadium in Calicut has just been opened after years and years of renovation. The Chandasekharan Nair stadium in the capital has turned into an open air theater for reality shows, award nights, dog shows, cotton & towel expos and as a jogging track for pot-bellied police officers. 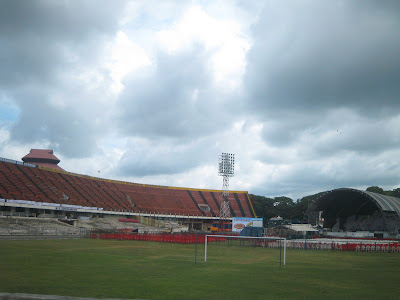 Last time I saw the University stadium it looked a bit better than the sewage farm in Muttathara, with all that tall brown grass blades. The Aquatic Complex in Pirappincode is a pain to look at, unfinished ghost-structure for the past decade. All the existing sports infra in Kerala are synonymous with neglect, misuse and indifference. The functioning of LNCPE in Trivandrum or SAI in Kollam hasn't done much good to the state or the country either other than providing employment to a few hundreds of sarkari naukar. That seems to be the whole idea of sports administration in our state and country: plagiarism, favouritism, skulduggery, backstabbing, mediocrity and what not! The products from these sports schools find solace in acquiring Govt jobs in Railways, Services, Air India et al, and slowly the 'sports' career takes the backseat. 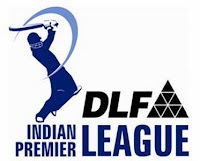 Recently there was a news that some renowned film stars are mulling over the idea of an IPL Team from Kerala. There are thoughts about building a greenfield stadium exclusively for the team either in Kovalam or Cochin. And now I hear the bollywood bad-boy Salman Khan is also interested in the Kerala team! Gracious.. As much as 250 crores are to be spent on the new stadium alone! Along with this the Kerala Cricket Association is constructing their own International Stadium in Cochin at the cost of some hundred crore quids. All for cricket, because that's where the money flows to. But this could in turn lead to spill-over benefits for the community as a whole as we see in the English Premiership. Clubs like Manchestor United or Liverpool, apart from being superbrands of their own cities, invest significantly in unearthing and grooming budding talents in their locality. They build and operate sports infra not just for football but for a variety of other sports too. Just like BCCI has grown from a local Cricket board to sponsoring and financially supporting sports other than cricket. For this one reason, I support the Kerala IPL Team and hope they grow big over time and be a torchbearer for the overall development of the state. Well, may be a cranky dream but this is the only successful example I've seen. Also its about time that we reassess way we play the spoil-sport w.r.t management. Bring in interested and associated people at the administrative helm (meaning, throw out the parasitic politicos from the chief positions), draft a sports policy with the help of people who know the field, invest more in the sports facilities, show the exit sign for the footlickers and freeloaders and provide subsidy or some kind of attractions to mull in sponsors. Developing the interest of local community in sports is crucial for uplifting the spirits of any sportsperson. We need the resuscitation of local clubs like Titanium or FACT to kick off the CPR process. It is also crucial that we take the National Sports and Games events a lot more seriously. The way our states deal with the National Games, perhaps the most important and the most erratic sports event in India is for everyone to see. The National Games 2008 in Ranchi is yet to happen!! And what hopes have we, when sports loving states like Kerala waste a golden chance to improve their sports facilities, after given the responsibility to conduct the event? More about the ongoing National Games 2010 drama here in PART II... publishing in 4 days time, flat.